This was the title of the November 18 sermon by Senior Pastor, Rev. Tim Hart-Andersen, at Minneapolis’ Westminster Presbyterian Church. The Prelude for the service was Franz Joseph Haydn’s Trumpet Concerto (Movements I and II) that was performed by Douglas Carlsen, trumpet (Minnesota Orchestra) and Melanie Ohnstad, organ. This sermon provided historical and contemporary contexts that made the story of Ruth and Naomi more powerful. It is easiest for nearly everyone to first experience love in a family and define yourself as a member of that family. Then as we grow up we enlarge the family group to include friends and neighbors, eventually people from a geographical area and then a nation. All of these groups are logical and hopefully enriching. The challenge then is to understand and treasure all human beings who are outside these groups. We are offered opportunities to do so by reading about people in other cultures and lands, by seeking to engage with nearby neighbors with different cultures and traditions, by welcoming newcomers of all faiths and traditions to our cities and towns and by traveling to other lands. I have been blessed in this quest by a superb education; by living and studying for two years in the United Kingdom; by traveling to many other countries in Europe, North America and Latin America and a few countries in the Middle East, Asia and Africa; by being a pro bono asylum lawyer for Salvadorans, Somalis, Colombians and men from Afghanistan and Burma; by learning and teaching international human rights law; by researching and writing blog posts about Cuba, Cameroon and other countries and issues; and by getting to know their peoples and by getting to know people in Minnesota from many other countries. Especially meaningful for me has been involvement in Westminster’s Global Partnerships in Cuba, Cameroon and Palestine and learning more about these countries’ histories, traditions and problems and establishing friendships with individuals in these countries. For example, this past May, individuals from these three counties visited Westminster in Minneapolis and we all shared our joys and challenges. Especially enriching were three worship services focused on each of our partnerships. For example, our May 20, 2018, service on Pentecost Sunday featured our Palestinian brothers and sisters from our partner congregation, Christmas Lutheran Church in Bethlehem. We had Palestinian music from the Georges Lammam Ensemble (San Francisco, California). Rev. Munther Isaac, the Senior Pastor of our partner congregation, provided the Pastoral Prayer and led the unison Lord’s Prayer. My new friend, Adel Nasser from Bethlehem, chanted the Twenty-third Psalm in Arabic. Hart-Andersen said the text emphasized that all of these people were in one place together, affirming the vast display of God’s creative goodness in the human family when no one has to surrender his or her own identity and thereby affirms the identity of every human being. This is what God wants in the human family, Hart-Andersen continued. Make space for people who are different. The miracle of Pentecost is the existence of bridges over these differences and the destruction of walls that we tend to build around our own little groups. Hart-Andersen also pointed out that Minnesota today is like that earlier gathering at Pentecost with over 100 different language groups in the State. Raheb agreed, saying that Palestine is also very diverse and God wants diversity in the human family. As a result, there is a need to build bridges between different groups, and the Covenant Agreement between Westminster and Christmas Lutheran Church expressly calls for building bridges between the U.S. and Palestine. He also treasures the gathering this month of Cubans and Cameroonians with the Palestinians and Americans because it helped to build bridges among all four of these groups. We were experiencing Pentecost in Minneapolis. Raheb also mentioned that the original Pentecost featured the miracle of understanding among the people speaking different languages. The Holy Spirit provided the software enabling this understanding. Hart-Andersen said the diversity of the human family compels us to build bridges. The mission of the church is to resist walls that keep us apart. Raheb emphasized that Acts 2:1-12 is a foundational text for Arabic Christianity as it mentions Arabs as being present on Pentecost. He also contrasted Pentecost with the Genesis account (Chapter 11) of “the whole earth [having] one language and the same words” and the resulting arrogance to attempt to build a tower to the heavens. God responded by confusing their language” so that they would not understand one another and stop building the tower of Babel. This is emblematic of empires throughout history that have attempted to impose one language on all parts of the empire. Yes, we all are brothers and sisters in Christ! The text of the sermon is available on the church’s website. See Beschloss Discusses “Presidents of War” at Westminster Town Hall Forum, dwkcomentaries.com (Nov. 15, 2018). The bulletin and an audio recording for this May 20 service are available on the Westminster website. Sunday, October 7, was World Communion Sunday at Minneapolis’ Westminster Presbyterian Church. This was celebrated with global music, including pieces from African-Americans (“McKee” by Matthew H. Cori and “In Christ There Is No East or West”), Japan (“Here, O Lord, Your Servants Gather” by Isao Koizumi), Taiwan (“Search Me, O God”), Argentina (“Glory, Glory, Glory”), Jamaica (“Let Us Talents and Tongues Employ”) and South Africa (“Thula Sizwe”). The sermon, “Is One New Humanity Possible?” by Senior Pastor Tim Hart-Andersen explored this global theme as well. Václav Havel argues that only by transcending the self – which is the goal of religious traditions – will we overcome our tendency to deny the humanity of the other. He defines transcendence as…“A deeply and joyously experienced need to be in harmony even with what we ourselves are not, with what we do not understand, with what seems distant from us in time and space, but with which we are mysteriously linked because, together with us, all this constitutes a single world. “I had my own Thomas Merton-like moment last week. We went out to eat at a Vietnamese restaurant 15 blocks south of here called Quang Restaurant. One new humanity is possible. Everyone can contribute to making that possible, one small step at a time. With humility each of us needs to recognize that one individual cannot do it all yourself, but that you can do something within your limited circumstances. Also recognize that sometimes you will fail in this effort and you will ask God for forgiveness. Václav Havel (1936-2011) was a Czech statesman, writer and former dissident, who served as the last President of Czechoslovakia from 1989 until its dissolution in 1992 and then as the first President of the Czech Republic from 1993 to 2003. The above quotation appeared in Rabbi Jonathan Sacks, The Dignity of Difference [New York: Continuum, 2000], p. 45); Sachs, now Baron Sacks, MBE is a British Orthodox rabbi, philosopher, theologian, author and politician who served as the Chief Rabbi of the United Hebrew Congregations of the Commonwealth from 1991 to 2013. Thomas Merton’s Mystical Vision in Louisville, Spiritual Travels. On June 19 U.S. Secretary of State Mike Pompeo and U.S. Ambassador to the U.N. Nikki Haley announced that the U.S. had “withdrawn” from its membership on the U.N. Human Rights Council. The Council’s current President, Ambassador Vojislav Šuc (Slovenia) immediately responded to this news. I disagree with the U.S. decision to withdraw from its membership on the Council for several reasons. First, the Human Rights Council does not have the power to order any Council member or any other U.N. member to do anything. Instead it is “responsible for strengthening the promotion and protection of human rights around the globe and for addressing situations of human rights violations and [making] recommendations on them. It has the ability to discuss all thematic human rights issues and situations that require its attention.” In short, it is a forum for discussion or debate on these issues, and the U.S. has an important voice to raise on these issues. Second, there are 47 Council members, and although the U.S. correctly points out that some members have horrible human rights records, there is no claim that such countries constitute a majority of the Council. Moreover, no country in the world has a perfect record on these issues, including the U.S.
Third, all Council members, including the bad actors, are subject to Universal Periodic Review (UPR) every five years. A mere summary of the latest UPRs for the countries mentioned by Secretary Pompeo and Ambassador Haley shows that each of them received many recommendations for improving their human rights records, thereby negating or diminishing the notion advanced by these two U.S. officials that those with poor records escape censure by the Council. Fourth, the High Commissioner for Human Rights has the authority and responsibility to provide the Council with his or her assessment of human rights concerns in the world. The current High Commission did just that on June 18 (the day before the previously mentioned U.S. decision to withdraw from the Council). In so doing he had critical comments about seven of the nine countries identified by Pompeo and Haley as having bad human rights records (China, Democratic Republic of Congo, Ethiopia, Iran, Russia, Turkey and Venezuela). U.S. State Dep’t, Remarks on the UN Human Rights Council (June 19, 2018). The Council is made up of 47 U.N. Member States, which are elected by the majority of members of the U.N. General Assembly through direct and secret ballot. The Council’s Members serve for a period of three years and are not eligible for immediate re-election after serving two consecutive terms. The U.S. is in its second consecutive term ending January 1, 2019. Haley, Remarks at the United Nations Human Rights Council (June 6, 2017); Haley, Remarks at the Graduate Institute of Geneva on “A Place for Conscience: the Future of the United States in the Human Rights Council” (June 6, 2017). Human Rights Council: Report of the Working Group on the UPR-China (252 paragraphs of recommendations) (Dec. 4, 2013);Report of the Working Group on the UPR-Cuba (292 paragraphs of recommendations) (July 8, 2013); Report of the Working Group on the UPR-Democratic Republic of Congo (229 paragraphs of recommendations) (July 7, 2014); Report of the Working Group on the UPR-Ethiopia (252 paragraphs of recommendations) (July 7, 2014); Report of the Working Group on the UPR-Iran (291 paragraphs of recommendations) (Dec. 22, 2014); Report of the Working Group on the UPR-Jordan (173 paragraphs of recommendations) (Jan. 6, 2014); Report of the Working Group on the UPR-Russian Federation (231 paragraphs of recommendations) (July 8, 2013);Report of the Working Group on the UPR-Turkey (278 paragraphs of recommendations) (April 13, 2015); Report of the Working Group on the UPR-Venezuela (274 paragraphs of recommendations) (Dec. 27, 2016). U.N. Hum. Rts. Council, Opening statement and global update of human rights concerns by UN High Commissioner for Human Rights Zeid Ra’ad Hussein at 38th session of the Human Rights Council (June 18, 2018). The previous post covered the joyous celebration of the new addition at Westminster Presbyterian Church on Martin Luther King, Jr. Sunday, January 14, 2018. 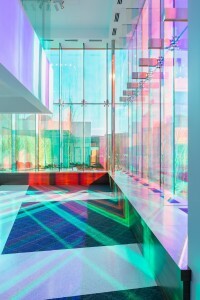 Now we examine how that new space will be used after looking at these photographs of the new addition (the last two show a 21st century version of stained glass windows provided by a film application from 3M). The Westminster Counseling Center— which the church has long supported with funding, office space and administrative support — has new offices on the second floor of the new expansion to provide counseling by licensed psychotherapists, welcoming people of all faiths or none at all to seek counseling and mental health services in an open and welcoming environment. Such services are provided on a sliding-fee scale to ensure high-quality counseling to those who could not otherwise afford it, no matter their circumstances. The expansion will also soon house the Harman Center for Child & Family Wellbeing, a new and innovative early intervention clinic of St. David’s Center–Child & Family Development. The Harman Center will occupy approximately 8,000 square feet of space on the second floor, and will primarily serve children from birth to age five who have experienced relational trauma. Services will include an infant team to assess and treat families with children in out-of-home placement, children’s mental health services and pediatric rehabilitative therapies, a clinical training site for graduate students in mental health, and a new home for the Center’s day-treatment program for young Somali children diagnosed with autism. A private space for Islamic prayer will be provided. The new Recreation Room and adjacent Youth Room offer open, youth-friendly places for Westminster’s young people as well as youth groups from all over the country who often need a place to connect and stay. In partnership with Hennepin County Library, Westminster will host an onsite senior community center two days per week to respond to the needs of the downtown seniors dispersed by the recent closures of two senior centers in the area. The church also will be providing a safe space for homeless people to store their belongings. Westminster is planning two new worship services for Westminster Hall: starting February 14, a 6:30 p.m. Wednesday contemplative service called “The Clearing,” and in September, a 5:00 p.m. Sunday service. There also are these upcoming inaugural events. January 28 (2:00 p.m.) Bold Hope in the North. This free and open-to-the-public event is co-sponsored by Downtown Congregations to End Homelessness and the Super Bowl Host Committee. 100% of the free-will donations at the event will go to the highly effective Emergency Rental Assistance Program (80% of families who received this assistance have remained housed after six months). The program will be emceed by Minneapolis Mayor Jacob Frey and joined by senior clergy from the downtown congregations (Christian, Jewish and Muslim) and two former NFL Vikings stars: punter Greg Coleman and defensive end Mark Mullaney. Music will be provided by J.D. and Fred Steele, Amwaaj Middle Eastern Ensemble, MacPhail Community Youth Choir, Mill City Singers, Spoken- word teen artist Kaaha Kaahiye and Klezmer Cabaret Orchestra. Following the program, attendees will enjoy delicious food from Holy Land Market and assemble dignity bags for people who are homeless (consisting of hygiene products, socks, hand warmers, food, etc.). February 25 (4:00 p.m.) Annual Youth Coffeehouse Cabaret will be presented by the church’s youth to showcase their talents through individual and group performances and a skit comedy. March 2 (7:30 p.m.). Cantus, a male chamber a cappella ensemble that has an office and practice space at Westminster, will present the inaugural concert in Westminster Hall, a photograph of which is below. Additional details to be announced. March 3 (10:30 a.m.—12:30 p.m.). Community Open House and Justice Choir Sing-Along. Tesfa Wondemagegnehu, Westminster’s Director, Choral Ministries, will lead all in the sing-along. April 17. 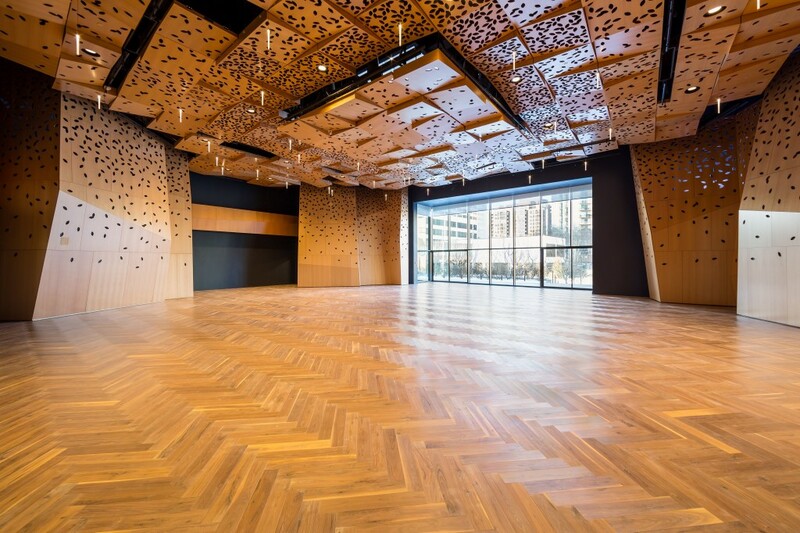 Harman Center Grand Opening with two events: over the lunch hour will be dedicated to the downtown business community and in the afternoon the broader community will be involved. More details will be forthcoming on its website: https://www.stdavidscenter.org/. May 5 (5:00 p.m.-8:30 p.m.). Celebration of Open Doors/Open Future Campaign. Worship in the sanctuary to recognize the generosity of the congregation and leaders in the Open Doors Open Futures project. Vice President Walter Mondale, a Westminster member, will be a speaker, as well as several youth and the campaign co-chairs. Afterwards games and activities on both Nicollet and Marquette Green and a buffet dinner and light appetizers. Watch the Westminster website for updates. May 17-19. Windows into Palestine: Encountering the Heart of a People through Art. This collaboration among Westminster; its partner congregation, Christmas Lutheran Church of Bethlehem, Palestine; Bright Stars of Bethlehem; and Bethlehem Lutheran Foundation will include an art exhibit, Choral and Instrumental Music, featuring the Georges Lammam Ensemble; Food Tastings and Cooking Demonstrations; Chef Showcase – featuring Chef Sameh Wadi of Minneapolis’ World Street Kitchen and Chef Bassem Hazboun from Bethlehem; and Spice and Crafts Market. Most of these programs will be at Westminster. Check the festival’s website for more details: https://www.windowsintopalestine.org. Welcome all to this beautiful new space and inspiring programs! St. David’s Center at its Minnetonka campus offers an exceptional preschool, children’s mental health clinic and pediatric therapy clinic as well as day-treatment programs for children with autism and mental health diagnoses. 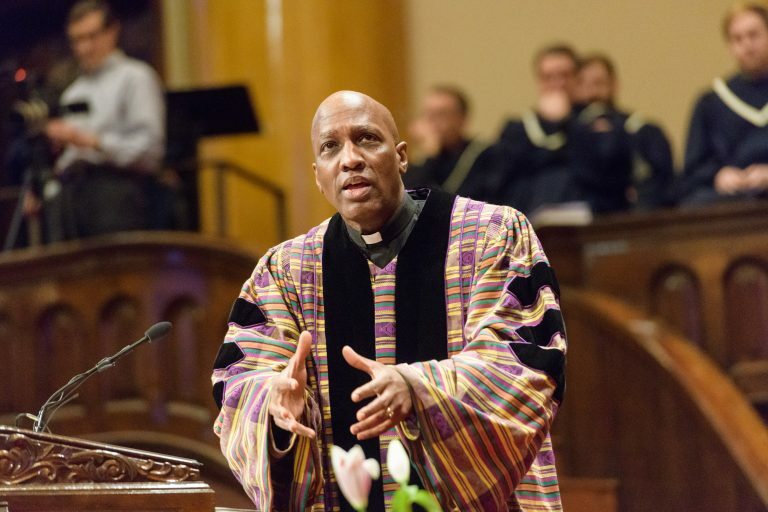 This year’s celebration of Martin Luther King, Jr. Sunday on January 14 was a very special occasion for Minneapolis’ Westminster Presbyterian Church. We welcomed the pastors and members of our local partner congregations, Liberty Community Church and Grace-Trinity Community Church, to hear the sermon by Rev. Dr. J. Herbert Nelson, II , the highest official (Stated Clerk) of the Presbyterian Church (U.S.A.) denomination. The Biblical passages for the day were 1 Samuel 3:1-10 and John 1: 43-51. After the worship service, we explored the spaces in our new addition whose front exterior is shown in this photograph. The following is a summary of this historic day by the church’s communications consultant, Kathy Graves, with the first photograph by Westminster member, Tom Northenscold, and the other two by Rev. Brennan Blue. “Following worship, the congregation cut the ribbons’ on the expansion, which were actually handcrafted banners created by [Rev.] 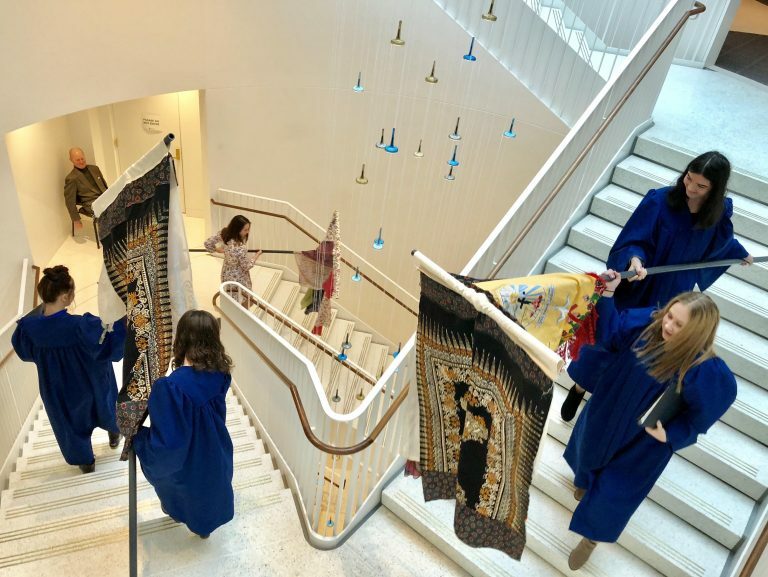 Beth Hart-Andersen from textiles donated by Westminster members and which were carried down the Trinity Staircase of the new space by Westminster youth as shown in the photograph to the right. “As the youth group sang “Amazing Grace,’ they made their way back up to the first floor to inaugurate Westminster Hall with the premiere of composer Tom Trenney’s ‘I Will Make a Way,’ a setting of Isaiah 43:19, commissioned by Westminster for the occasion. 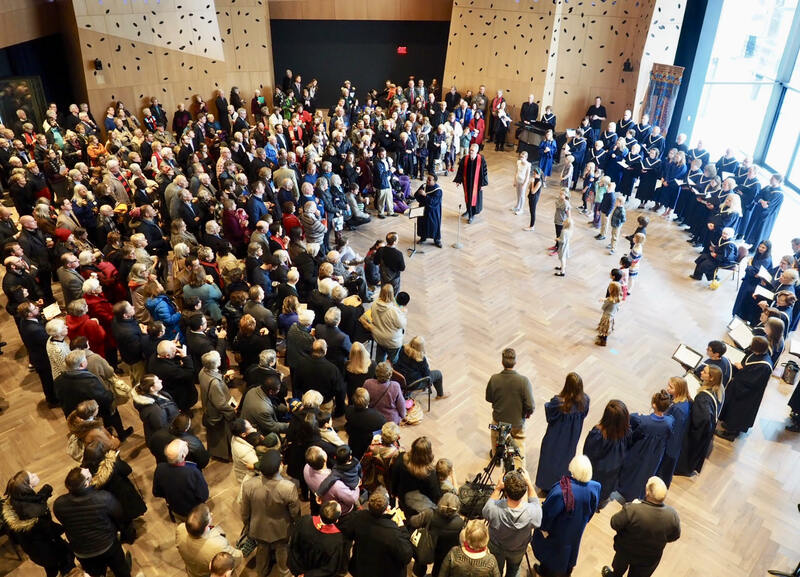 Tesfa Wondemagegnehu, Westminster’s director of choral ministries, led the Westminster Choir in a performance that showed off the magnificent acoustics of the space as shown in this photograph. 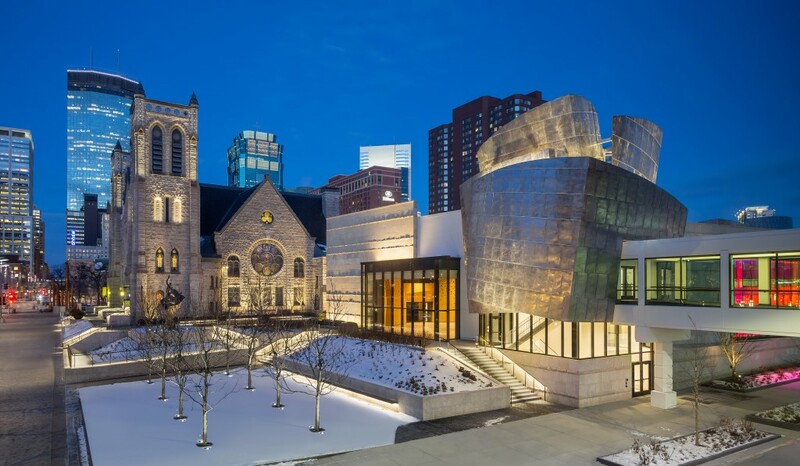 The live stream of the service is on the church website, and the bulletin for the service should soon be there as well..
 Graves, Westminster Presbyterian Church opens doors on expansion to historic downtown Minneapolis building, Presbyterian Outlook (Jan. 19, 2018); Powell, Westminster Presbyterian to serve as a cornerstone of justice, Presbyterian Mission (Jan. 17, 2018). The musicians were Sam Reeves, Jr., pianist and Liberty Church’s Minister of Music; Brian “Snowman” Powers, a Louisiana-bred saxophonist, composer and music producer; and Chris Koza, a singer-songwriter-guitarist and member of Grace-Trinity Community Church. 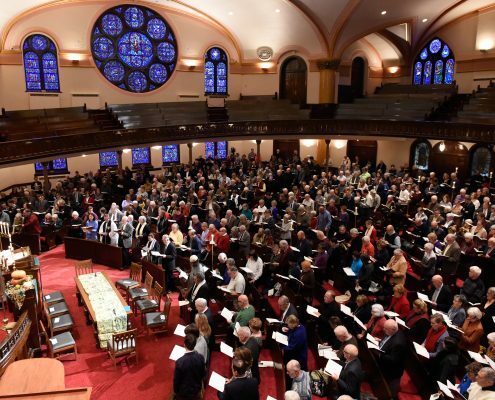 As mentioned in a prior post, Minneapolis’ Westminster Presbyterian Church’s celebration of World Communion Sunday on October 1 featured a sermon on where was the Reformation headed today. As that sermon mentioned, the service included global music. Our Westminster and Global Choirs joined together to sing five anthems from other countries and to lead the congregation in singing five hymns from around the world. Our leaders were Dr. Melanie Ohnstad, Organist and Minister of Music and Arts; and Tesfa Wondemagegnehu, Director of Choral Ministries; Barbara Prince, Director of Global Choir; and Jeffrey Gram, percussionist. During the distribution of the bread and the cup for communion, we sang three anthems. The global theme of the service also was emphasized in the following five hymns. “In Christ, There Is No East or West” (No. 317 in Glory to God: the Presbyterian Hymnal) whose first verse states, “In Christ there is no east or west, in him no south or north, but one great fellowship of love throughout the whole wide earth.” This and the other verses were written in 1908 by John Oxenham (a/k/a William Arthur Dunkerly) and the music is an African-American spiritual, which was the very first such music used in a mainline North American hymnal in 1940. “O Lord, Have Mercy” (No. 578) is the traditional “Kyrie eleison:” “O lord, have mercy, O Lord have mercy, O Lord have mercy, have mercy on us.” The hymnal also contained the verses in Greek and Guarani, which we did not sing. There were so many things happening in these services, I once again discovered by reviewing the service, re-reading the pieces that we sung, researching about the composers and lyricists and writing this blog post enhanced my understanding and appreciation of the services. Although I joined the Global Choir in 2014, it was created in 2001, and for the regular church calendar (September through May), we sing nine times in the early worship service in the church’s Chapel. Just contact the church to join the Global Choir! All are welcome. Beautiful performances of “Indodana” by (a) the combined voices of the University of Pretoria Camerata, the Missouri State University Chorale, and the Emory and Henry College Choir at the University of Pretoria Musaion, (Pretoria, South Africa) and (b) South Africa’s Stellenbosch University Choir are available on YouTube. The Protestant Reformation: Where Does It Go from Here? The World Communion Sunday, October 1, worship service at Minneapolis’ Westminster Presbyterian Church featured Rev. Timothy Hart-Andersen’s last of four sermons on the 500th anniversary of the Protestant Reformation: ”The Protestant Reformation Today: Where Does It Go from Here?” The first three sermons, as covered in prior posts, discussed the three great themes of the Reformation: grace alone, faith alone and scripture alone. Below are photographs of the church’s Sanctuary and of Rev. Hart-Andersen. Westminster already is engaged in global partnerships with churches in Cuba, Cameroon and Palestine, and for 10 years I chaired our Global Partnerships Committee and visited our partners in Cuba (three times), Cameroon (once) and Brazil (once). I know that they have enriched my spiritual life and of others in the church and in our partners. As the sermon stated, music from around the world will play a major part in our worship as it did this day and as will be discussed in another post. The bulletin for this service and the text of the sermon are on the church website. Excerpts of the sermon are set forth below. Wilson, We’re at the end of White Christian America. What will that mean?, Guardian (Sept. 20, 2017); Pew Research Center, Religious Landscape Study. Posted on October 15, 2017 Categories ReligionTags 16-17, Brazil, Cameroon, Christianity, Cuba, ecumenical, Evangelical Lutheran Church in America, Galatians 3: 23-29, grace alone (sola gratia), interfaith, Jesus, Kenya, Latin America, Palestine, Protestant Reformation, Rev. Dr. Martin Luther King Jr., Rev. 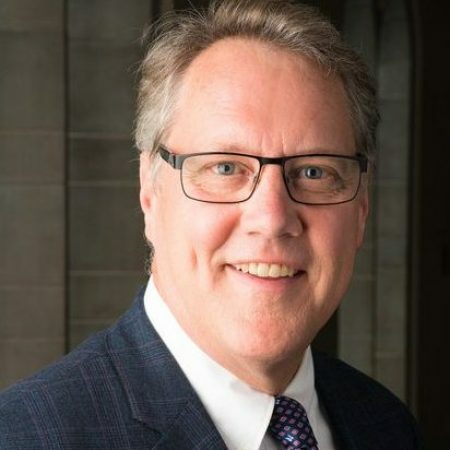 Timothy Hart-Andersen, Revelation 22: 1-6, sola fide (faith alone), sola scriptura (scripture alone), South Africa, South Korea, Sub-Sahara Africa, The Holy Bible, Westminster Presbyterian Church2 Comments on The Protestant Reformation: Where Does It Go from Here?